i have a 7/14 built, i'll check mine after work too. thanks for pinning this! You fix it yourself for 3$ and 15 minutes. 7/14 build and it looks like it's just tape on it or something. I guess it's all '12-'14s. So I am a bit confused with this at this time. 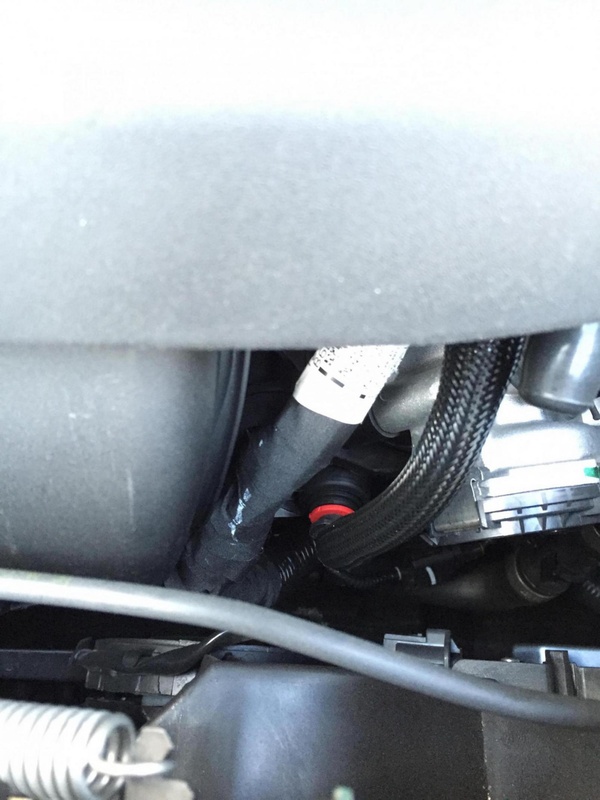 Is the issue that the harness is just wrapped in tape and it is rubbing against the manifold? My 2012 looks like the photo wavsine just posted in post #19. The first picture in the original post and post #23 does not look like my car. I haven't looked closely yet but it feels like the plastic loom over the wires does have a hole in it from where it was contacting the manifold. Guess the best way to solve this is to post a photo when I get home from work. Mine is a 10/13 build and I'm almost positive it has the plastic loom. It was tight as hell up against the engine though. Mine is a 12/11 build and has loom wrapped with tape from the factory it appears. Covered it with another piece of loom and tape to be safe. Same build date, same factory loom, also added more. Seems like the product in dates with only tape as protection from the factory is pretty limited. so i have a 1/14 build date and it looks like the original post. i'll have to do this fix over the weekend. I think I have a 8/14 or 9/14 build-- I'm still going to check this out tomorrow! 1/12 build with a 5-spd. Seems like it already has the plastic loom. So where the loom seems to end is about where the harness comes into contact with the edge on the manifold. I tried looking at it but couldn't see anything. I feel what seems like an opening in the loom but I believe its just the split in the loom. 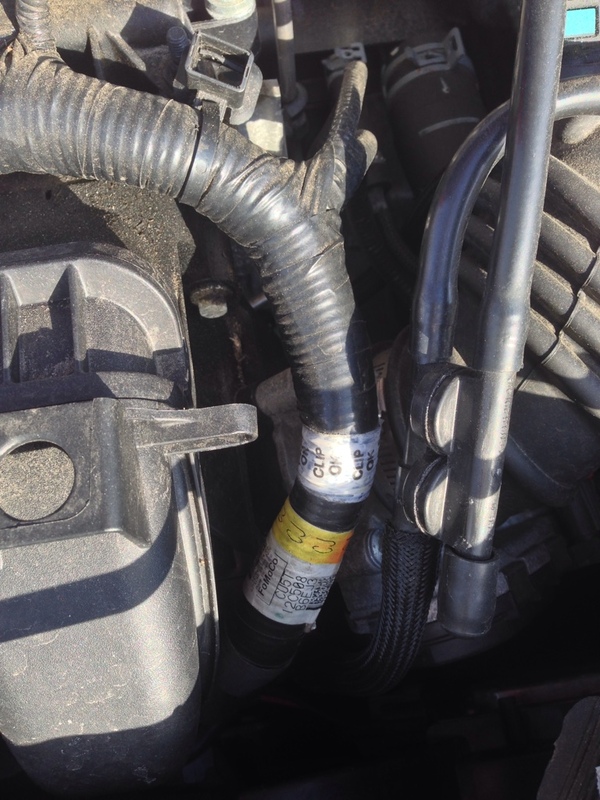 I let the car idle and moved the harness around at the point in question and didn't not any change in idle, etc. Last edited by BrApple; 04-17-2015 at 05:40 AM.